We’ve just taken delivery of 100′s of jazzy new Cool Shoes – slaps! 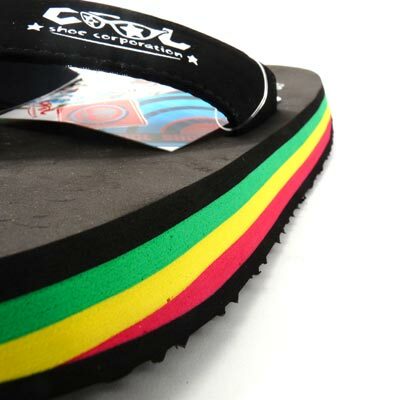 New in is their Rasta colour. Perfect, now all you need are braids and a guitar and you’re set to go “jammin’”! So like I say, we’re fully stocked and have more colourways than you can shake a stick at so grab them while the summer’s still here! See here for our full range.